Our Online Express Volume Lashes Course will teach you how to safely and successfully perform express volume eyelash extension treatments. Express Volume Lashes involves application of pre-made fan lashes for a quick but effective volume lash treatment. A great way of introducing lash services for those not already trained in semi-permanent eyelash extensions or as an additional service for existing lash techs to offer a more affordable treatment to clients. Guided by our comprehensive study materials and video tutorials, this online course will take you through the process to perform these hugely popular treatments, as well as learning the theoretical knowledge and safety procedures involved in practising these treatments to an industry-standard. Study from the comfort and convenience of home, with an experienced course tutor on-hand to help by email. Ideal for those who wish to learn treatments for personal interest or to provide pampering to friends, family and clients. Eyelash extensions are now one of the most popular treatments requested by clients, with celebrities and fashion pushing forward the trend of longer, thicker lashes. Express Volume Lashes is a technique involving application of semi-permanent pre-fanned lashes to allow you to create the volume and added length but provide a far quicker treatment time than possible with classic or Russian volume lash extension techniques. By offering a quicker treatment, you can offer these more affordably to extend your client base as treatments become more accessible but also fit in more clients each day allowing you to earn more. As express volume (pre-fanned) lashes are not infilled, clients must return every 2 weeks for professional removal (and reapplication) allowing you to build a regular, returning client base. 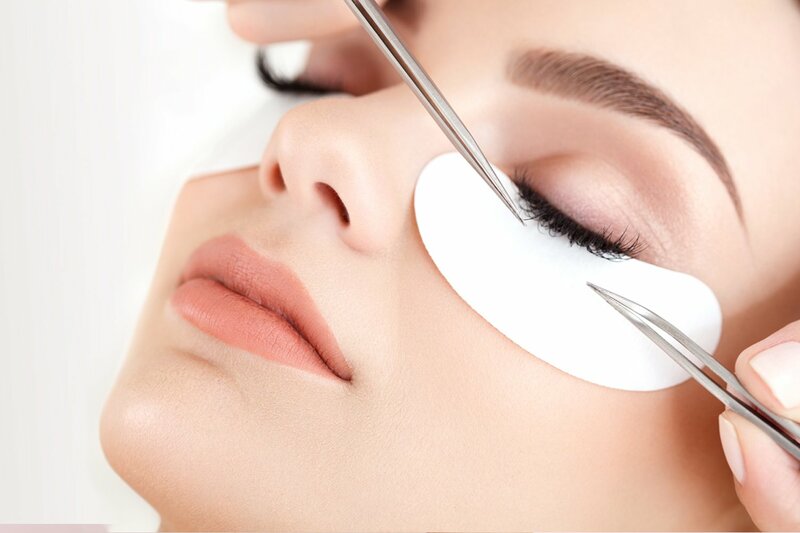 Express Volume Lashes are the ideal treatment for clients wanting lashes purely for a one-off occasion such as a wedding or holiday; or for those who cannot commit to the long term maintenance costs usually associated with lash extensions. They are also ideal for those new to lashes who want to learn and introduce these services quickly or for existing lash techs who want to extend their services by having a quicker, cost effective treatment option to classic individual lashes or Russian volume lashes. During our generic online express volume lash course, you will learn the application and removal process of semi-permanent pre-fanned lashes. All without being tied into using any particular brand of lashes, until you are knowledgeable and able to decide on the best products for you. Our online course will teach you to perform express volume eyelash extension treatments with confidence. Our online courses are suitable for complete beginners and do not require any prior learning to be able to train with us; many of our students are not yet beauty trained and are looking to start up a business in the industry. We welcome students of all abilities, whether you are looking to learn a new skill from scratch or currently working as a therapist and looking to refresh your knowledge of particular treatments. This course is particularly useful to those already trained in eyelash extensions to add-on as an additional service but is also equally suited as a first course in eyelash extensions for those with no prior knowledge, looking to learn the express volume technique to be able to quickly start offering these treatments.